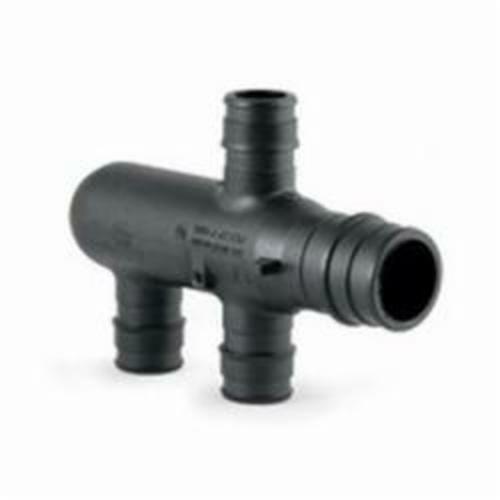 Engineered Polymer EP branch opposing-port multi-port tees features 3/4 in ProPEX® inlets with opposing 1/2 in ProPEX® branch outlets. These tees are designed for a central location to facilitate piping in two directions. The tees are made of EP, which is proven in demanding hot-water applications.